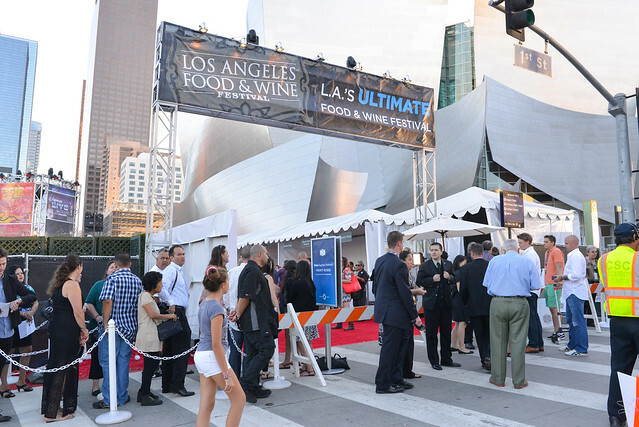 This past weekend marked the fourth annual LA Food & Wine Festival; this year, it spanned almost 30 individual events over four days. 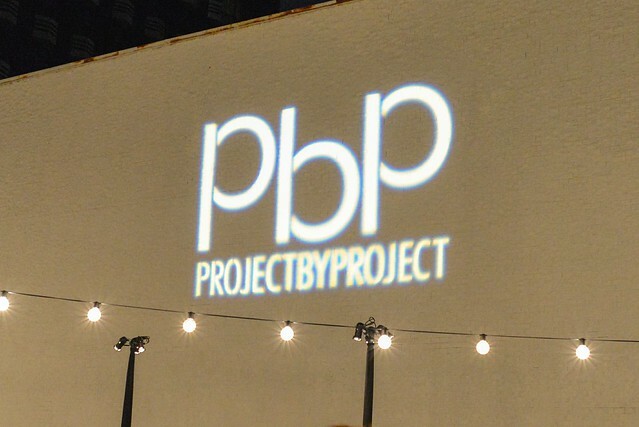 Some of the standbys I’ve attended each year have been the large tasting format events; in my opinion, they’re the best way to access the most chefs and bites with one ticket. 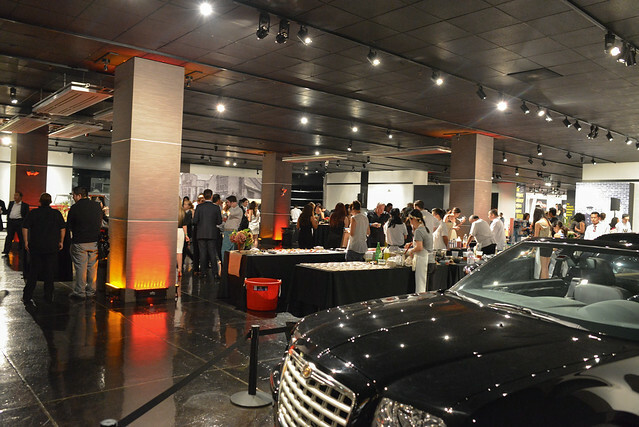 This year, I attended the daytime grand tastings as well as this evening event, Live on Grand. 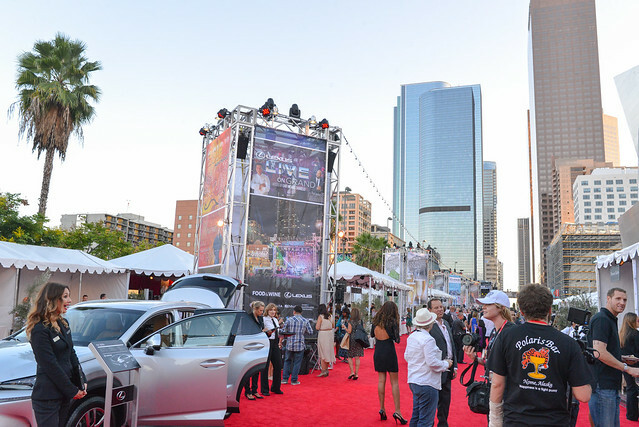 What separates this event from the others is a live performance at the end of the night (this year’s performer was Common) and a gorgeous backdrop of downtown LA. Grand Avenue, next to the Walt Disney Concert Hall, is shut down specifically for this event. Dozens of chefs/restaurants lined the street serving up both savory and sweet bites. 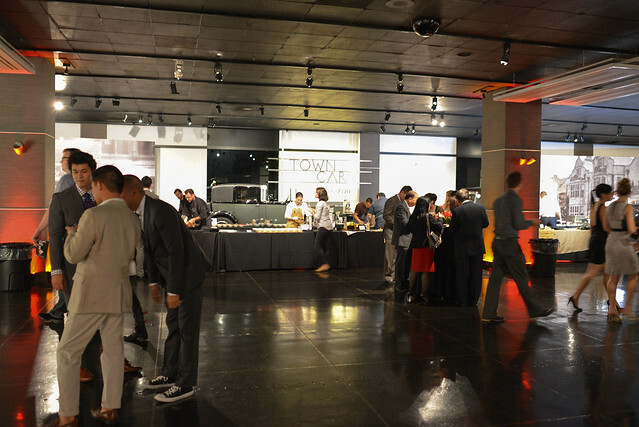 Of course, it’s all-you-can-eat/drink for the price of the ticket ($250 GA). 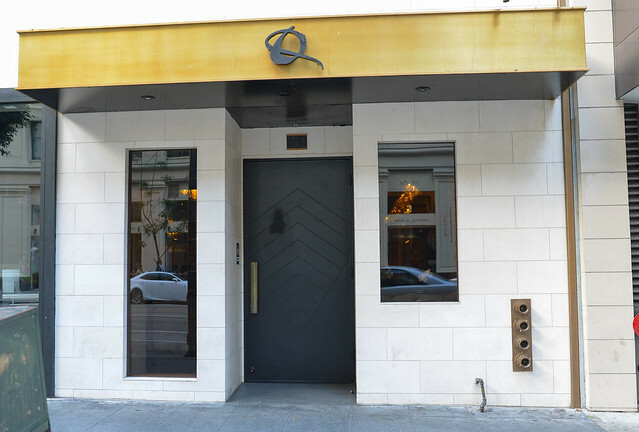 Q Sushi opened in November of last year, just off downtown’s corner of 7th & Grand, home to other popular spots Bottega Louie, Sugarfish and Mo-Chica. 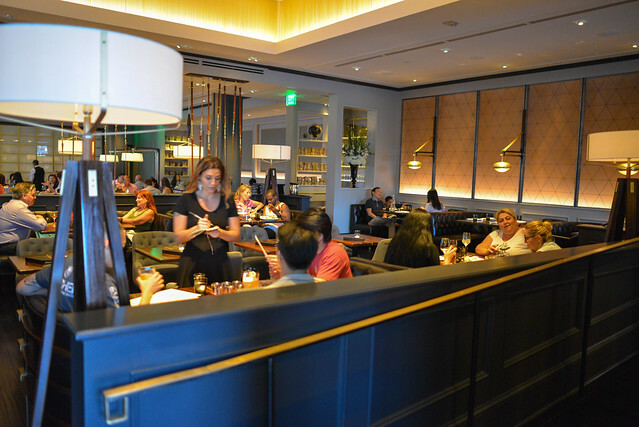 Its opening was right on the heels of the downtown location of Zo, creating a formidable twosome in downtown’s high-end sushi scene. 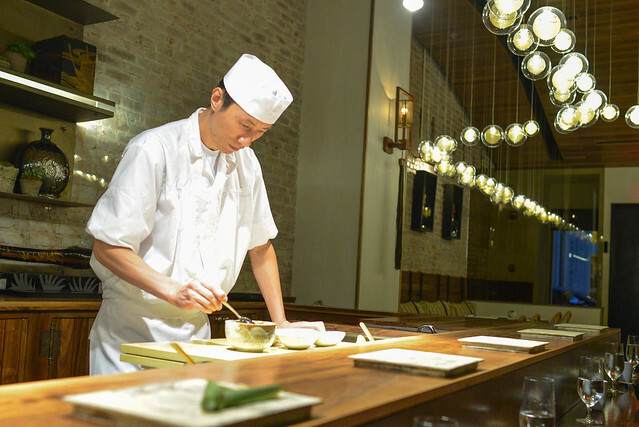 Q is known for its omakase-only menu (begins at $165) and edomae-style of sushi. 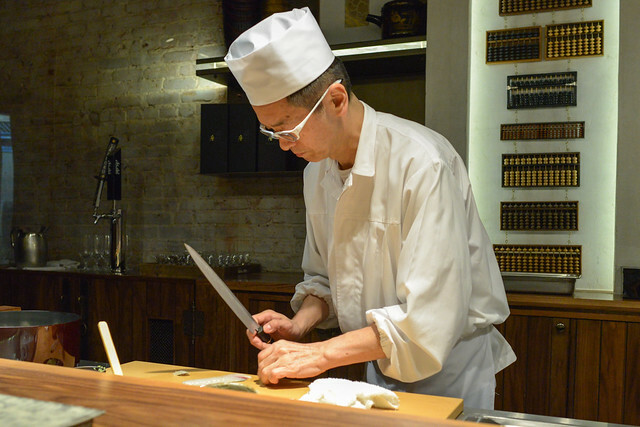 Chef Hiroyuki Naruke maintained a sushi bar in Tokyo’s Roppongi district for years before moving to LA with the assistance (and persuasion) of some of his loyal customers, who also happened to be LA-based attorneys. 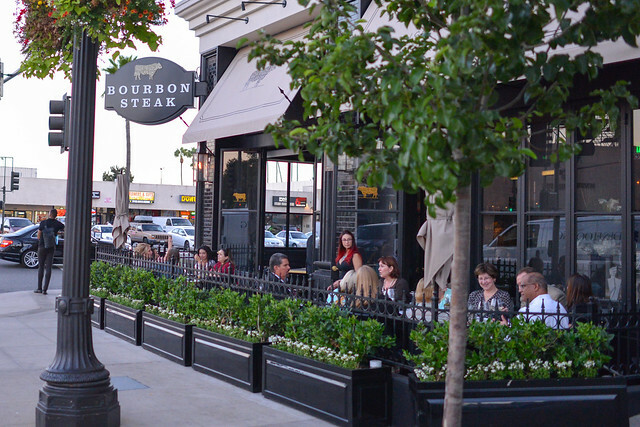 I first dined at Michael Mina’s Bourbon Steak in March during its opening. The meal was a unique one, hosted by Bon Appetit to promote the upcoming Vegas Uncork’d, where a custom tasting menu was served. I’ve been intending to return for a more ‘regular’ meal and to try more of the steaks; recently, I had the chance with a few coworkers. The menu at Bourbon Steak centers on the beef, of course, with a number of options under Certified Angus, Certified Angus Prime, and American, Australian and Japanese Wagyu. A wide array of other appetizers and entrees, including Mina’s signature tuna tartare and lobster pot pie, really round out the menu. Between the six of us, we were able to sample quite a bit of it.